The Country Dance group led by Gladys Lumgair don heavier footwear at the end of the winter and keep fit by exploring the local countryside. Two weeks ago they enjoyed a guided tour of the RSPB Reserve at Fowlsheugh near Catterline, coming face to face with some of the resident puffins, while this week they walked from Craigo along the Northesk to Logie (The name is derived from the Gaelic for a hollow). As well as the caly biggin’ which started out as the school for the mill children, they also managed to have a keek at the mill itself. Having started off as a snuff mill to fuel the local demand for this popular form of tobacco, it was also used to finish the high quality cotton fabrics produced in the area in the early 1800s. 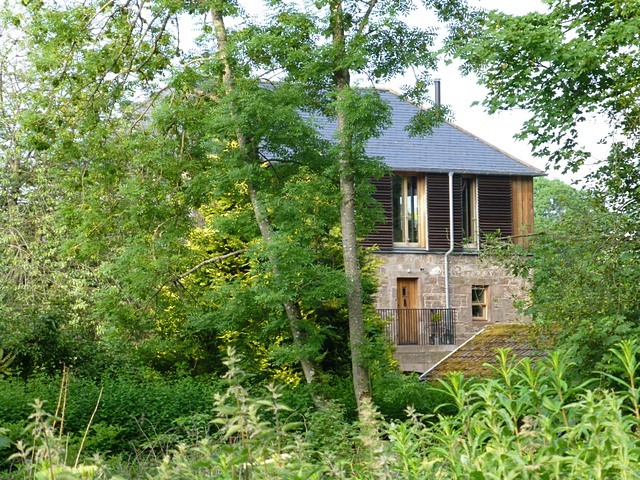 Recently it became an award winning conversion to a family home – just like the ones on TV!